Theo was born and raised in Germany. After receiving a degree in Geology he started a career as a nature and travel photographer. In 1995 he specialized in nature photography (wildlife and landscapes). He has been a full-time professional photographer for over 30 years. Theo has written 6 books including The Pantanal: South America’s Wetland Jewel, Wild Australia, Namibia, and two books on the Yukon Territory. During his career he has received many international awards including twelve prizes in the renowned BBC Wildlife Photographer of the Year Competition. 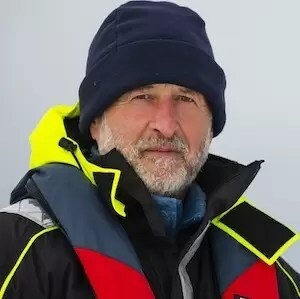 His work has been published worldwide in books, calendars, newspapers and magazines including National Geographic, New York Times, Newsweek, Time Magazine, Geo, Der Spiegel, Smithsonian, BBC Wildlife Magazine, Terre Sauvage and Australia Geographic. Theo has written numerous articles on photography in Outdoor Photographer, FOTO/Sweden, Australia Foto, and PhotoLife/ Canada. Theo is a frequent keynote speaker at international nature photography conventions (NANPA/USA, GDT/Germany, Vargarda/Sweden, Lowland Photo Festival/Belgium). Foto Magazine/ Germany recently praised him as being one of the world’s best nature photographers.